Are you a prisoner of Strava? | theraceforthecafe.com . Are you a prisoner of Strava? 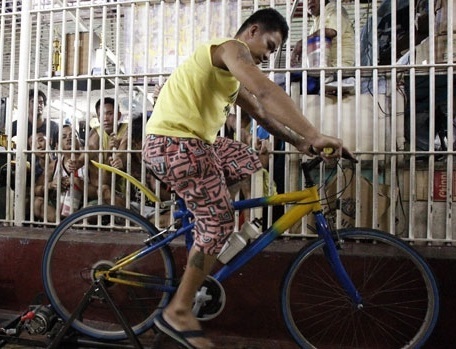 Cycling under the surveillance of the other prisoners. 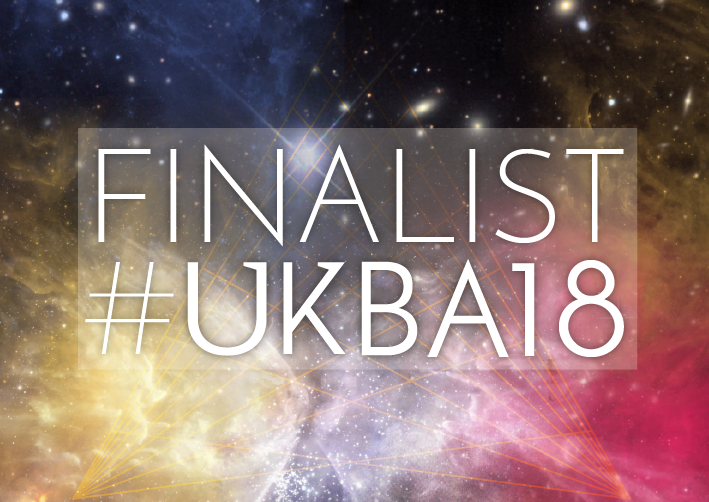 Its definitely not Zwift and there is no Strava Kudos to be had, but a shorter sentence has got to be something worth pedalling for. Now that I have (not too) subtly introduced the topic of imprisonment and seamlessly linked it to cycling its time for some serious (prisoner related) sociology and a return to the topic of Strava. 1 How does society (our social world) make us do what we do? 2 How does society (our social world) reproduce and transform itself? Today’s post is my attempt at the first question in the context of Strava (I will tackle Question 2 another time). In a previous post - here GamificationandSurveillance I touched on the topic of surveillance and suggested that participation on Strava changes our cycling behaviour, but how does Strava participation do that? It changes our behaviour because we believe we are being watched by our friends, followers and others (like the prisoner above), we believe we are under surveillance. While surveillance in the Strava setting is a form of entertainment as part of the ‘Strava game’ it is also a form of control or discipline. The word surveillance comes from the French words for watching over from above ‘sur’ and ‘veiller’ to watch. Popular understandings of surveillance, are largely derived from the dystopian writings of George Orwell contained in his work Nineteen Eighty-Four GeorgeOWIKI with the concept of the all-seeing ‘Big Brother’ – hence the name of the TV show. The academic literature on surveillance is largely based on the work of the French sociologist Michel Foucault MichelFWIKI who was interested in how power and control operates in different social settings (sociology Question 1). In the past, surveillance has been understood as operating as a top down mechanism, authorities looking down to maintain control, just like Big Brother and in the use of street surveillance cameras. The design of the panoptic tower is central to the architecture of Bentham’s prison, not just because it allows the guard in the tower to see 360 deg, but because it introduces uncertainty in the minds of the prisoners as a way of asserting control. The prisoners in their cells can never be sure if they are being watched or not, so they behave as if they are being observed all the time – just the idea of being under surveillance changes their behaviour. ... the panopticon must not be understood as a dream building: it is the diagram of a mechanism of control reduced to its ideal form. Michel Foucault, Discipline and Punish, 1977. 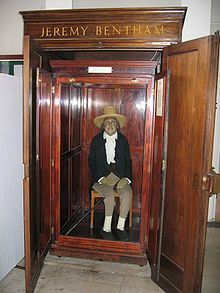 Here is old ‘Jezza’ Bentham who has been ‘imprisoned’ and under surveillance in his little cabinet since 1850 - a bit ironic that don’t you think? Worse than being in a Brazilian prison, at least in there you get to have the occasional pedal. The panopticon highlights how control can be exercised over individuals. The observed accept the surveillance as normal and behave accordingly. Cyclists are in a similar position on Strava, they assume that they are being watched by their followers and others (and they are probably right) and they change their behaviour because they are under surveillance. They ride further, more frequently or faster, particularly over certain segments, (admit it – you know you do it) because they think their followers will be watching. Strava is therefore, a mechanism of control a ‘virtual’ panopticon controlling cyclists who are never fully aware of the presence of the all-seeing 'panoptic gaze’ of others. The surveillance that takes place on Strava is between two people who are often both the watcher and the watched (the prisoner and the guard). In my research I describe the surveillance that takes place on Strava as being lateral (cyclist to cyclist - sideways rather than top-down), participatory (as an element of the Strava ‘game’) and as social (because Strava is a form of social media). While surveillance is often regarded in a negative way, as a form of control or discipline it can also be a form of entertainment and it is clear from my research that some cyclists regard being under surveillance as a positive, whilst at the same time conceding that they change their cycling behaviour because of it. In the virtual panopticon of Strava we are both the prisoners and the guards, watching, judging and changing the behaviour of one another as we share our ride data We know that we are being watched and we change our cycling behaviour to impress our followers. We are conscious of this state of constant and permanent visibility and that is the appeal, that’s what brings us back to share and share again. I am willing to admit that the first thing I do when I get back from a ride is plug the Garmin in to the lap top and while it connects I think up a catchy ride description MyStrava and I know a lot of other people who do the same thing, you probably do too, because you have got them under surveillance! If reading this post felt bit like ‘doing time’ next week’s post will feel like 'parole' its a bit lighter, one the topics is escapism. Talking of lighter – the answer to the question posed on last week’s post, the weight of the 14 bottles was 8.4 kgs – that's got to make a difference surely!